What are best and top Private RBSE Schools in Jaipur with Affordable fees? Nowadays parents want to educate their children from better schools and institutes. They want better for their children. They want to send their children to best reputed schools, but here is a problem that they had expensive fees which everyone can’t afford. Although these expensive schools provide all kinds of facilities and services but every parent can’t afford these high schools. It is not necessary that all expensive schools are good. There are many schools where fees is affordable and they give best education to their students. So it is not necessary all the time that only expensive and reputed school provide best education to their students. There are many schools which are affordable for middle low class people and they give best to their students. It might possible that they don’t provide all facilities and services but they take care of students in all manner. So parents need not to run after these expensive schools. If you are living in Jaipur then here are some best RBSE affordable schools in Jaipur.They provide best to their students. There are some schools which not only provide best education, but also keeps in check, their students all round development and growth. They provide ample amount of opportunities to their students. They motivate and encourages students to work hard and showcase their talents and skills. They organize extra activities for stress free environment for their students. They keep supporting staffs who motivate to their students’ time to time and boost their self confidence. They also believe in morale education and values. So here are some schools. You can try into these schools. It is an RBSE English medium school. It is from nursery to 12th standard. The fees are affordable in this school. It is a well known school. It provides the best education to their students. It is giving good board results. It organises many activities for students for overall growth and development. It has well equipped science labs. It has CCTV surveillance. It has updated computer labs too. It provides transportation facilities too. It gives their best for board results.They keep in check for students’ welfare and betterment. They keep qualified and experienced staff and facilities. It organizes student counselling sessions time to time. They keep child’s parents to get updated about students’ progress. It is a Hindi medium government school. It is from nursery to 12th standard. It has pocket friendly fee structure. It is well known and reputed school. It provides transportation facility too. It has highly experienced and qualified teachers. It provides the best education to their students. It has strict rules for students. Respect and dignity is the key of this institution. It has well equipped computer labs and other labs. It has good strength of students every year. It takes care of overall growth and development of children. It gives ample opportunities to their students’ progress. They take care of students welfare and motivates time to time to showcase their skills and give their best. 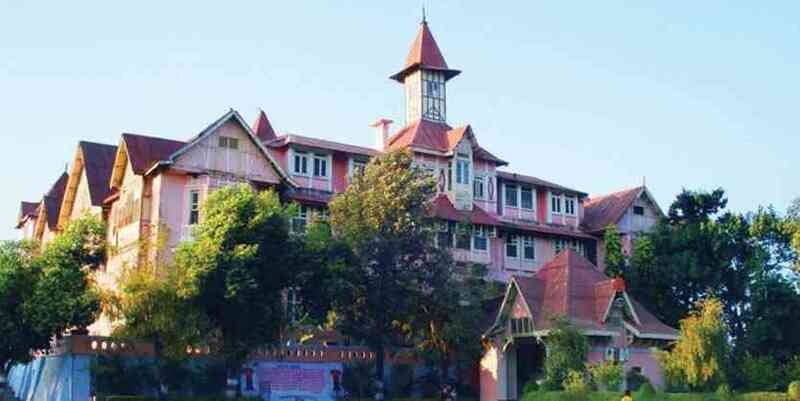 It is one of the oldest and best school in Jaipur. It is both Hindi and English medium RBSE school. It is from nursery to 12th standard. It has affordable fee structure. It is well known school. It has good strength students. It gives scholarship to its meritorious students. It gives more emphasis on moral education and its values. Teachers encourage their students to work hard and show their potentials. It provides transportation facility too. It provides many opportunities to its students. They give good board results every year. The school organises state level sports activities too. It is an English medium RBSE school. It is from nursery to 12th standard. It has pocket friendly fee structure. It is a reputed school. It has good strength of students. This school is founded and managed by retired army officers and education department. It provides ample opportunities to its children in their overall growth and development. Educational programmes, cultural activities, games and sports activities are organised throughout the year. It gives emphasis on discipline and moral education. It gives good board results. They conduct students counselling sessions time to time for their parents to get updated about students’ progress. It is a RBSE English medium school. This school is up to 12th standard. It has pocket friendly fee structure. It organizes extra activities time to time for better growth and development of students. It provides conveyance facilities too. It provides practical and project based learning. It has highly qualified and experienced faculties. It has good strength of students. It conducts extra activities to showcase students’ talent. It encourages its students and boost their self confidence. They keep in check for students to boost their morale and values. They give their best in board results. They keep updated to parents for their child’s progress. It is RBSE English medium school. This school is based on NCERT syllabus. This school is up to 12th standard. It has good strength of students. This is a well reputed school. It has an affordable fee structure. It provides conveyance facilities too. It provides practical learning to the students. You can see activities and students merit scores publishing in newspaper time to time. From some years, it is giving excellent board results. It has highly qualified and experienced teachers. Teachers of this school motivates and encourage their students to showcase their talents. Faculties are helpful and supportive. It has well equipped computer labs. This school provides many opportunities to students for their all round development. It organizes extra Co curricular activities throughout the year. This school gives emphasis on Indian culture and moral education. It gives emphasis on discipline and dignity. It provides stress free environment to their students. They conduct student counselling sessions time to time. They keep informed to parents about students’ progress time to time.